The days of the ordinary chair are rapidly becoming a distant memory. The long standing working relationship between Brazilian brothers Fernando & Humberto Campana has been filled with one off ideas. Ideas that are sometimes beyond belief. The creative mind set of the two men is incredible. 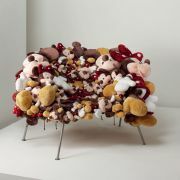 Why follow sheep when you can create a chair where stuffed sheep toys are the foundations? 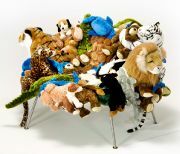 Fernando & Humberto Campanas creations stem from items they have found such as scraps of wood, fabric cut offs and, like I said previously, stuffed toys. It seems crazy but the designs speak for themselves. The artistic approach is definitely thinking outside the box. Neither brother seemed destined for a life of design. In 1953 Humberto Campana was born in Sao Paulo, Brazil. 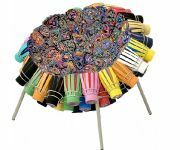 Whilst studying Law, Humberto began to design furniture in the mid 80’s after younger brother Fernando (Born in Brotas, Brazil in 1961) had completed his architectural degree. 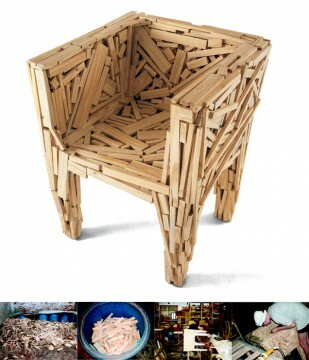 Favela chair, constructed piece-by-piece in 1991 from the same scraps of pinewood used to build the slum housing on which it was inspired. 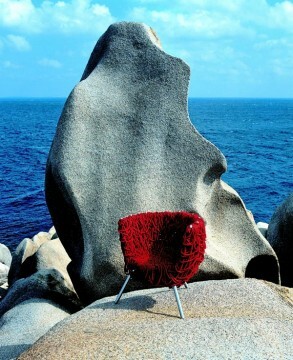 Vermelha armchair, built with 500 metres of bright red cotton cord, hand tied amd weaved through a metal frame. After looking into the lives of the two brothers in more depth, I will now be following their outstanding work for the foreseeable future. Just think of the creations that could be on the horizon! Café furniture and Café chairs could all be about to change.